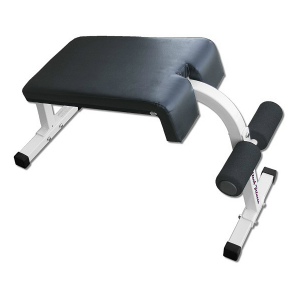 Finally, a reason to sit up and take notice of substantial abdominal results made possible by the Body-Solid GAB300 Semi-Recumbent Ab Bench. 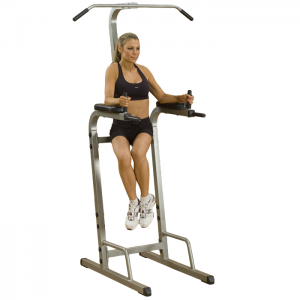 By putting you in position to isolate different regions of your abdominal muscles, the GAB300 puts you in the driver’s seat for a controlled workout. Perform ab crunches and knee raises, independently or in tandem, as you conduct a comfortable workout from a biometrically correct position. 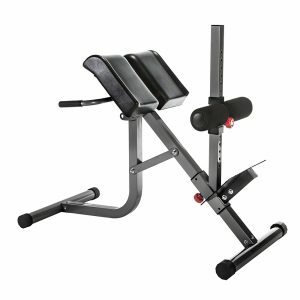 With the ability to adapt to users’ changing fitness needs, the GAB300 delivers an efficient workout for both beginners and advanced users. 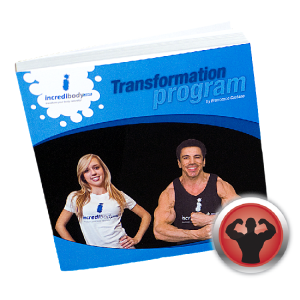 For beginners, the counterbalance option helps you master the exercise movement. As your abdominal strength builds, you can increase resistance by adding weights for a productive and challenging workout, limited only by your own increasing endurance and strength. 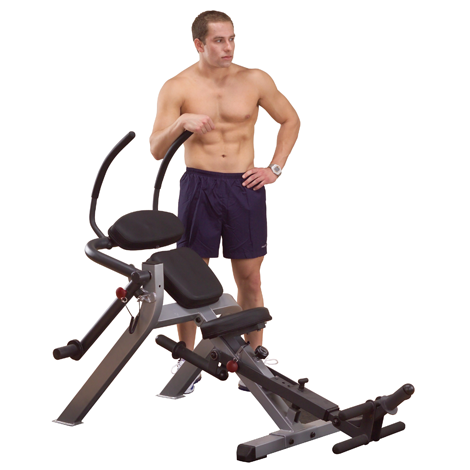 When it gets down to crunch time, the GAB300 Semi-Recumbent Ab Bench is the choice for those serious about establishing and maintaining six-pack abs and well developed obliques. Use your gut instincts and buy the best…Body-Solid. Olympic style plates only. Weight plates optional. 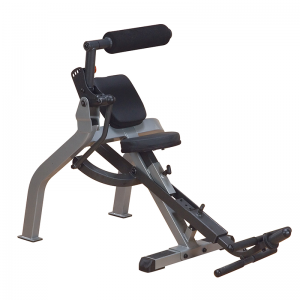 • 5-position seat, 5-position upper ab arm and 4-position lower ab leg support adjust to accommodate any size user. • Ergonomically positioned handles provide a natural, fluid, biomechanically correct motion. • High-strength frame is constructed from 2″ x 3″ steel tubing with an electrostatically applied powder coat finish. • Compact design puts maximum functionality in a minimum required space. 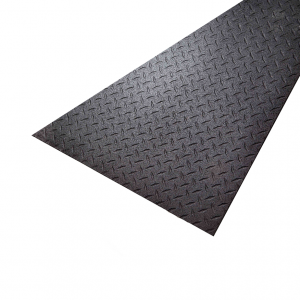 • 2″ foam cushions with DuraFirm™ upholstery assure a comfortable workout. • Upper abdominal resistance is achieved with lock-out feature. 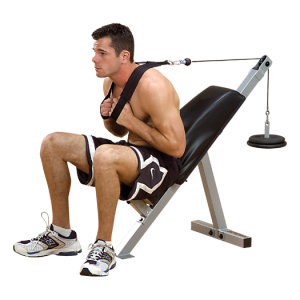 • Lower abdominal counterbalance and resistance is achieved with lock-out feature. 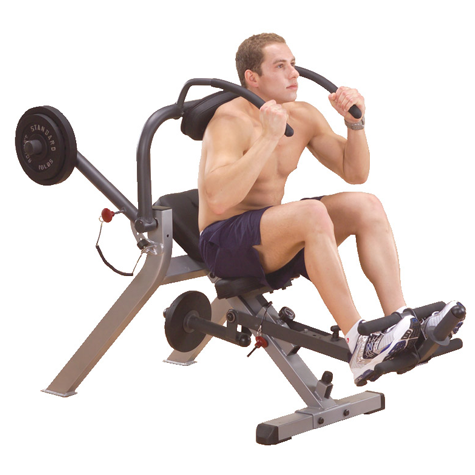 • Articulating foot support self-aligns for correct lower leg and ab crunch movement. • Upright seating position provides easy access.